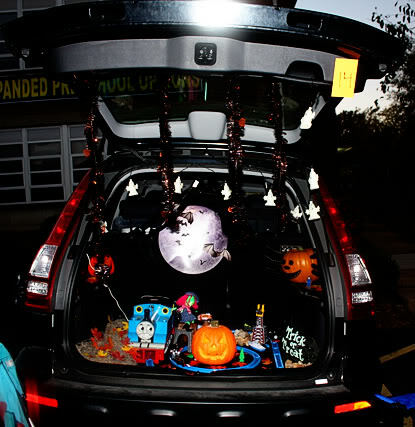 Last Friday was Trunk or Treat at the kids school and of course we had to decorate our trunk! I really had no idea what to do for a trunk theme, I really wanted to do a Disney Princess theme, but… Nathan didn’t want that. Autumn didn’t really seem to care, SO I decided to do a skeleton theme. 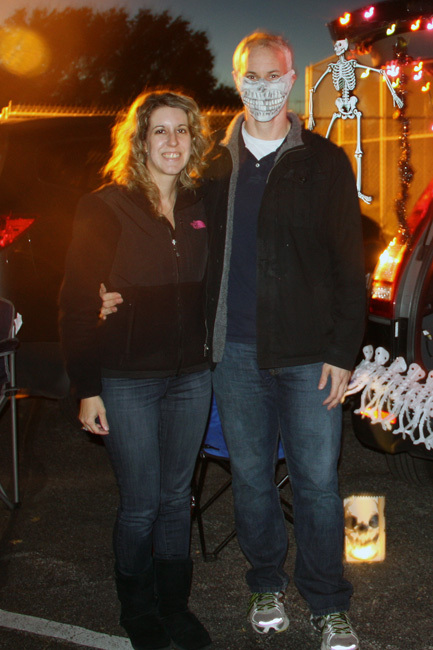 I decided this, because Grandma Mary bought Nathan a 5′ skeleton at Walgreens and Nathan has been in LOVE with it. 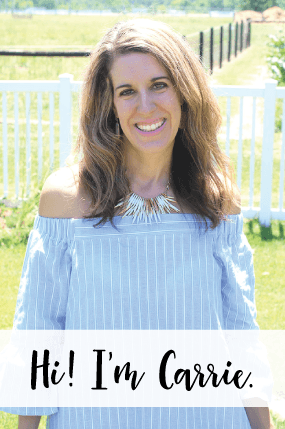 SO, I decided the main focus would be ‘Skelly’ and we would go from there. Brian, of course decided to carve THREE pumpkins to make a skeleton pumpkin! And, yes they were real pumpkins (several people asked). We also had Skelly holding a skeleton walking stick that Nathan purchased at the Animal Kingdom Lodge, skeleton garland, skeleton lanterns, skeleton this and that. It is amazing how much skeleton crud there is out there. 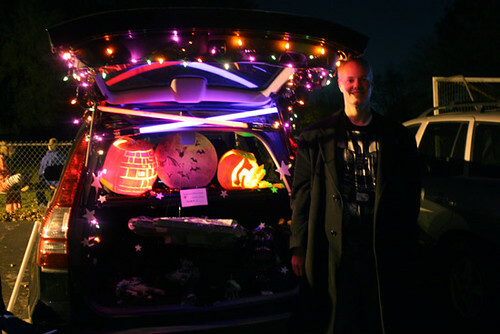 Well, we won SECOND place, which is what we got last year (and in 2010 we won third place). YAY! The prize was a $15.00 iTunes gift card, you sure can’t beat that! Brian even found a skeleton MASK! He made one little girl cry, awwwhhh. I promise he’s really not all that scary. ha! 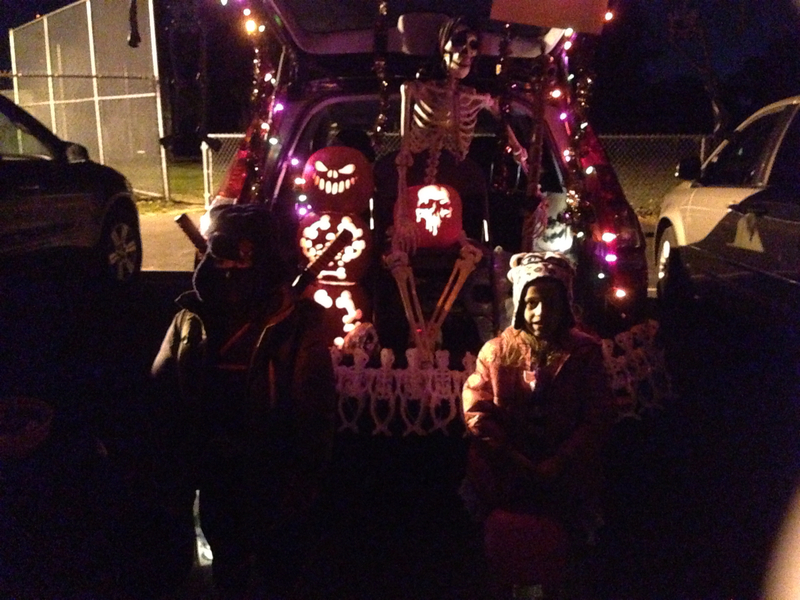 Here are the kids by the car… not the best picture, but at least I got them to stand still for 5 seconds… better then no picture at all, right?! 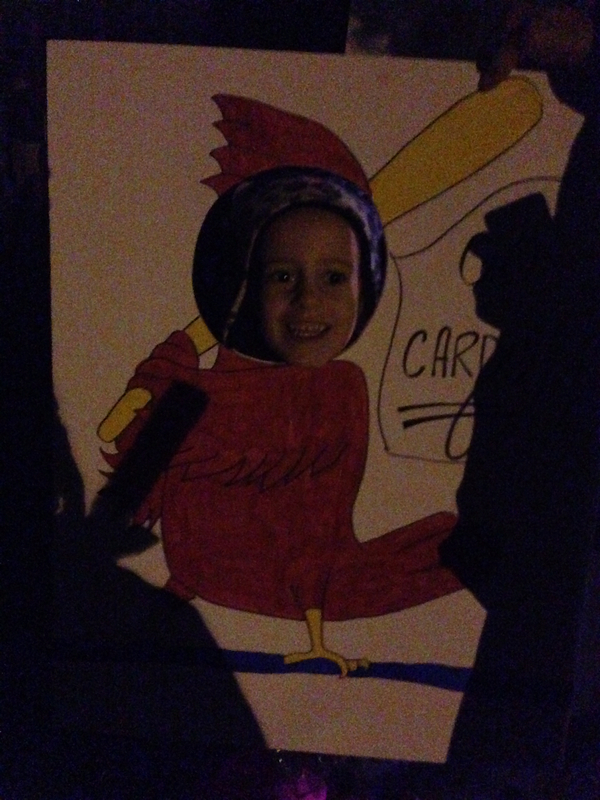 So, I thought it’d be fun to go back and look at previous Trunk or Treat decorations we have done. 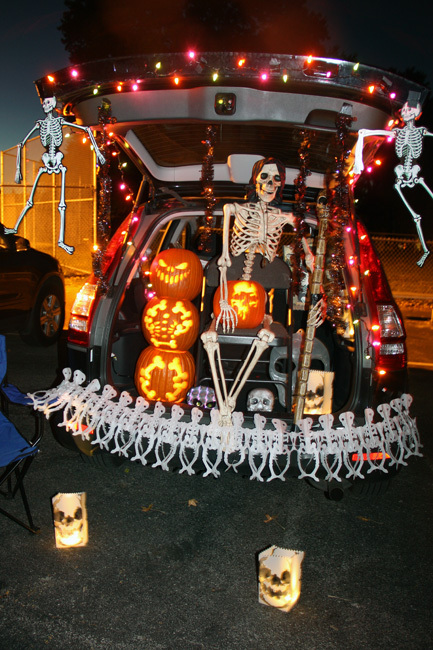 2011 – We went, but did not decorate our trunk.